Gifts are provided throughout the year – not just at Christmas – at no charge to the officer or family to improve the way children in need or danger see the men and women in uniforms. 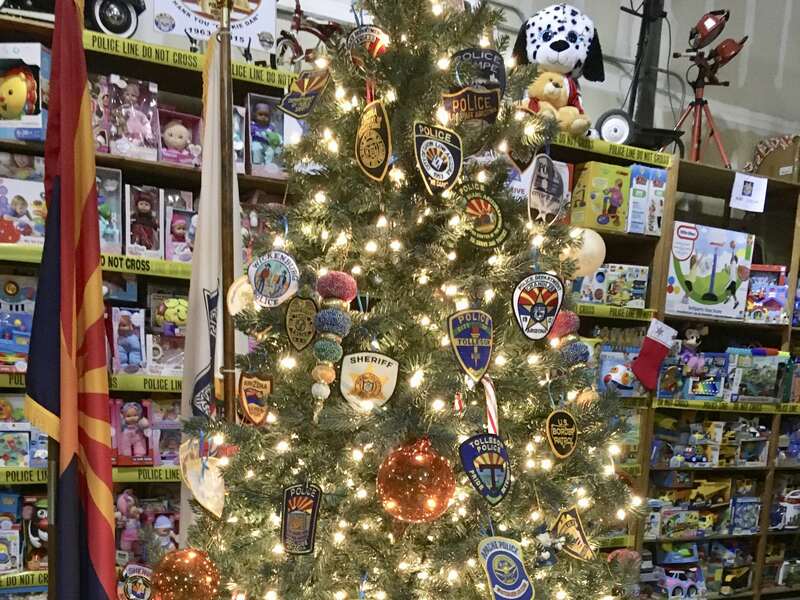 Over our last 30+ years, more than 6 million gifts have been given away to over a million children through the hands of Police, Fire, and 911 Emergency Services. We have changed young lives and family opinions in positive ways, one house at a time, and that includes some people in uniform. Monetary contributions are used to purchase items needed to fill in donation gaps. Our largest need is always gifts for teen and pre-teen boys and girls. This age group is most vulnerable to crime, unrest, and gang activity. An officer at their door with gifts and personal items is an incredible and lifelong positive image that those in need never forget! 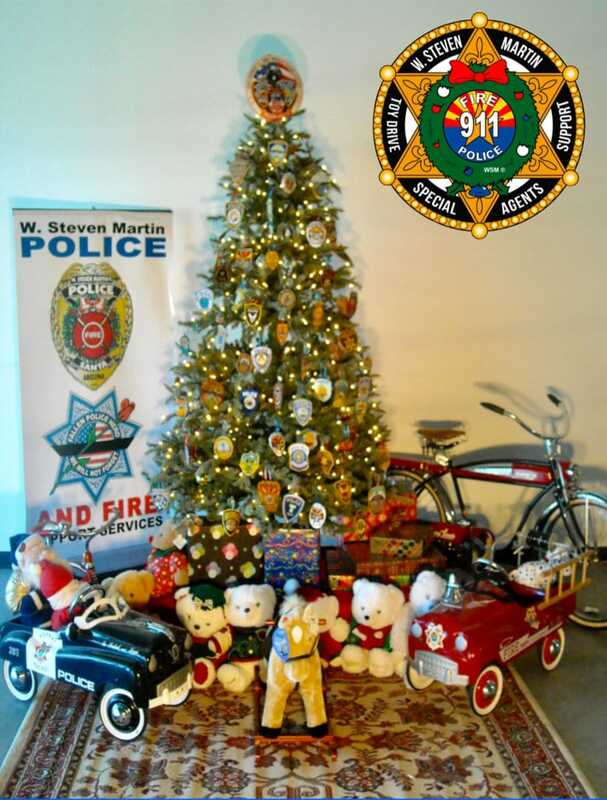 The W. Steven Martin Police Toy Drive Foundation is a 501(c)(3) non-profit organization and has NO payroll expenses. We are all volunteers and supporters. ALL donations are used for gifts and expenses to keep these programs working year round. If you want to help, please click on the Donate or Contact button above. Throughout his career, two-time CMA Broadcast Personality of the Year W. Steven Martin, a Nebraska native and long-time Valley of the Sun morning drive presence, worked tirelessly to raise money for local and national charities. 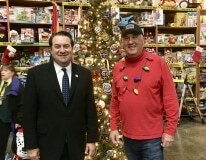 His reputation for giving back to the community frequently resulted in individuals and faith-based groups reaching out during the holidays, seeking assistance to provide for families that would otherwise go without food, warm clothing, or toys during the holidays. W would call upon his vast network of friends and businesses to attempt to help those who took the time to send a letter outlining the particular situation. However, vetting the requests was simply not possible, due to the high demand. And delivering the holiday boxes took up nearly every waking hour during December, a problem with a young family of his own. 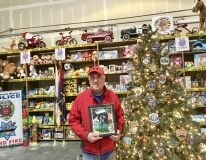 Then, in December of 1988, W received a call from a young woman, Toni, asking for toys. 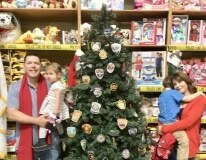 Toni Hawk’s husband, Tempe Police Officer Robert Hawk, had committed to adopting three families for Christmas. But on September 24th of that year, Officer Hawk was killed in the line of duty by a hit-and-run driver. Toni was determined to fulfill Robert’s promise to those families, despite dealing with her own grief and now raising two small children on her own. When W heard her story, he told Toni to meet him that evening at his home where he had a good supply of toys stored in the garage. When she arrived, Officer Hawk’s entire squad, in uniform, accompanied her. As they walked around the garage, selecting the perfect toys for the children, W and his wife Susie had their “a-ha” moment. 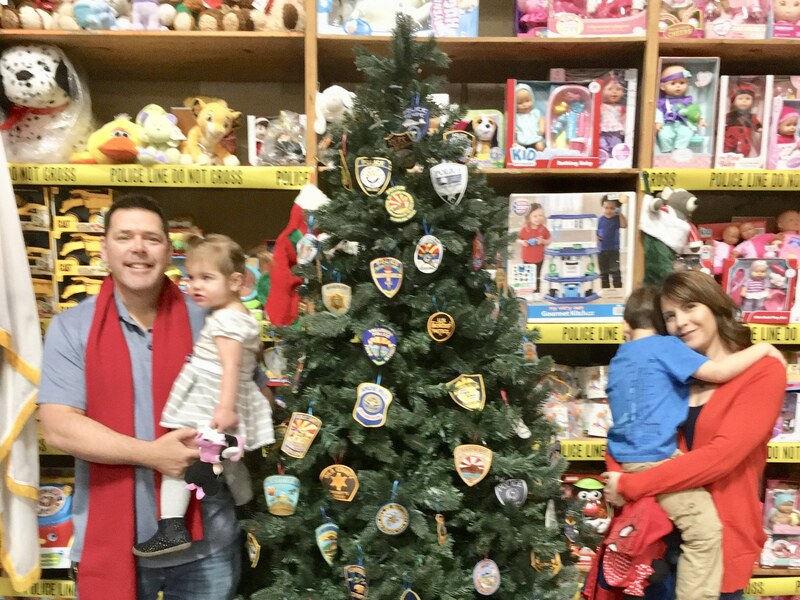 Why not invite police officers to adopt families they have encountered through their duties? 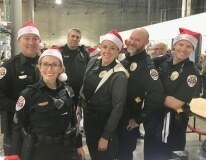 The officers would know the needs, they would be able to deliver the toys to the kids in their beats, and the children and their families would potentially develop a greater appreciation for the police and all they do to help those in our community. Beginning in early 1989, W worked tirelessly to get sponsors on board, find a warehouse, and begin to collect toys. He reached out to community leaders, local public officials, and Police Chiefs and Sheriffs. A plan was in place. 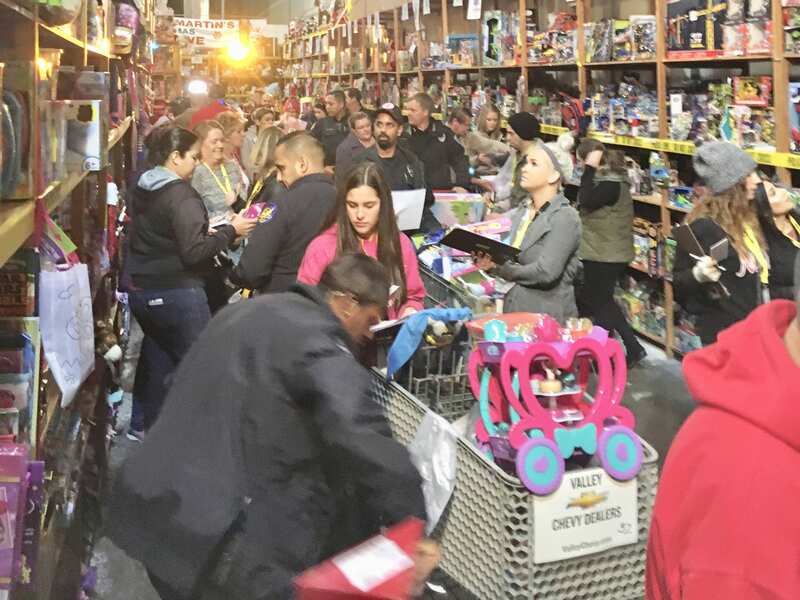 In the early morning hours of a late December morning, hundreds of officers stood in line to “shop” for toys. They each left with carloads of toys and gifts and pledged to return each year. And so began the W. Steven Martin Police Toy Drive. 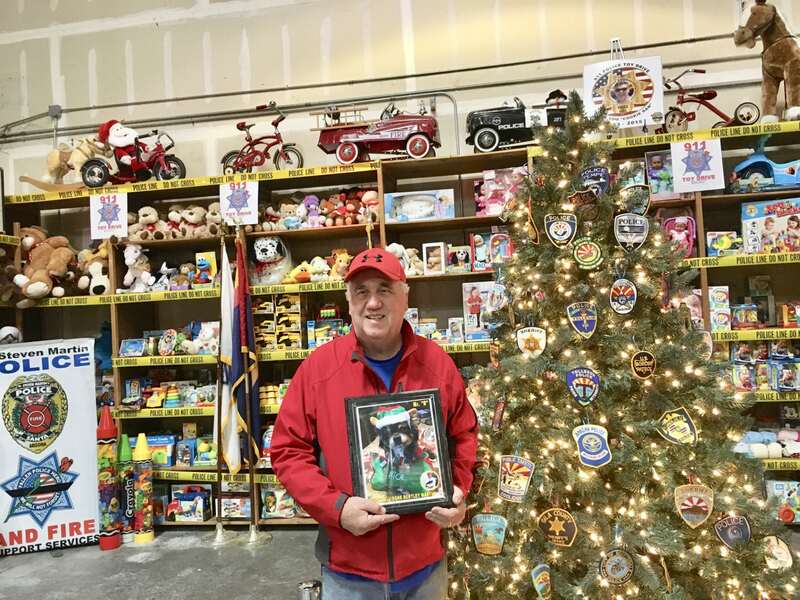 Over the years, the program has expanded to include toys for firefighters to distribute when a family is burned out or other tragedy has struck, and toys for members of the military. 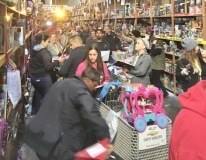 But the biggest annual event is the Police Toy Giveaway Day. 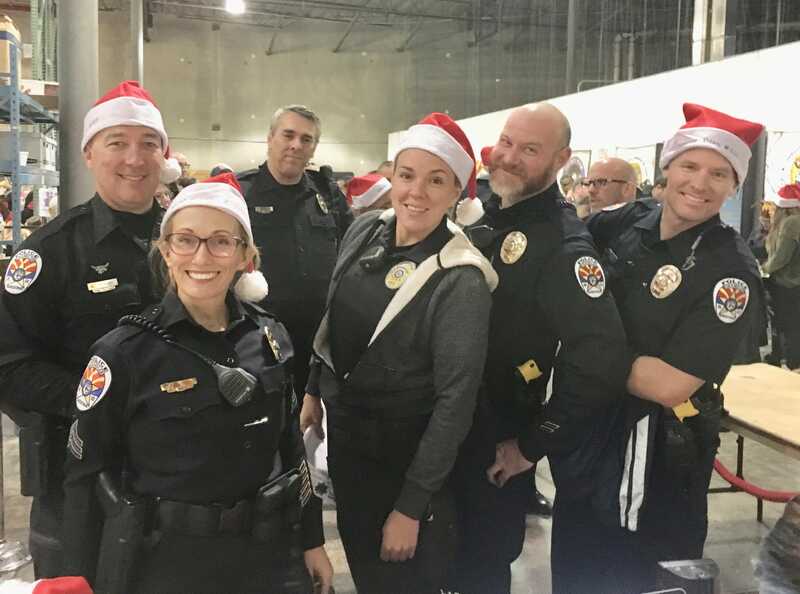 Each year, hundreds of officers from across Arizona participate. Many of the officers have returned year after year since 1989, and they have come to look forward to seeing one another at this joyous event and share stories. 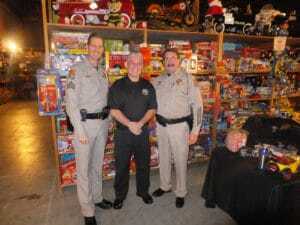 The 911 Toy Drive, as it is now called, is a 501(c)(3) non-profit organization with an all-volunteer work force. For the many years, the Valley Chevy Dealers have graciously participated as a corporate partner. Members of the community can drop off their donations at any of the 14 Valley Chevy Dealers, up through Christmas Eve. 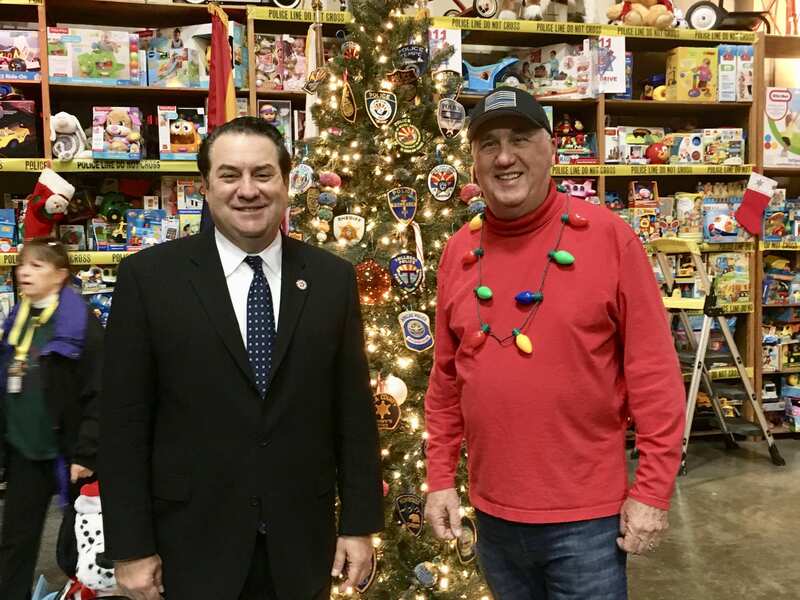 The Toy Drive accepts new, unwrapped toys and gifts for children 0-15 years of age, and emphasizes the need for gifts for older kids, things like sports equipment, remote-controlled cars, purses, make-up, and craft kits. If you, your family, or your business would like to get involved or make a monetary donation, use the Donate or Contact buttons on the home page. Home, Store or Business Window!